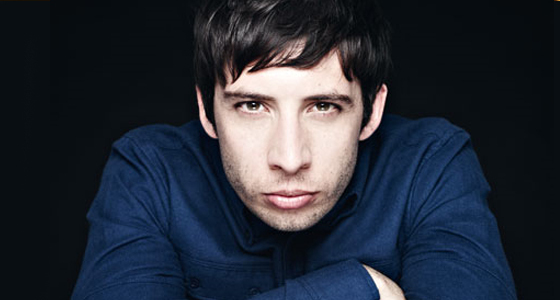 What a interesting video from Example..! No wonder when you hear who directed it..! Close Enemies’ is a huge stadium filler mixing candid lyrics with his now signature killer chorus and darker beats. The infamous Rankin, who was hot off the set from Azealia Banks’ Liquorice, and tells a dark tale of love and monsters, directed the video. With recent appearances on Celebrity Juice, Alan Carr Chatty Man and an upcoming feature as the host of Nevermind The Buzzcocks, Example looks set to mirror the success of his last platinum selling album all over again with his new album The Evolution of Man. Example said ‘out of all the tracks on the album Close Enemies sums up every kind of flavour on there, it’s got the light, the dark, the emotion, it’s got the guitars, it’s got the electronic elements, the rapping, the half time dubstep bits, everything I wanted to do is embodied by this record so it was the one to lead the album with’. Check it out below.The Evolution of Man is due out later this month..!